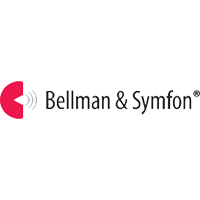 The Bellman Audio Domino Classic Personal Hearing System with Stereo Earphones is the world's first personal hearing system that uses digital state-of-the-art sound processing and wireless broadband technology to bring out speech in difficult listening situations. Domino delivers crystal-clear speech, free from annoying background noise. It can help you hear better at home, work and school, in restaurants, in the car, while watching TV or listening to music. And since it uses the 2.4 GHz global frequency standard, you can use your Domino system anywhere in the world. Domino Classic's unique design makes using it very easy and intuitive. You can also stream high quality audio from your TV, MP3 player or stereo system. Choose Domino Classic as your personal hearing system and discover the easy way to interact with your friends, colleagues and classmates. 2-Year Manufacturer's Limited Warranty (1-Year on Rechargeable Batteries). The Domino Classic system consists of a transmitter and a receiver, equipped with state-of-the-art microphones. Sound is picked up by the transmitter and receiver microphones and converted into digital data. Speech is clarified and annoying background noise is eliminated. The sound is then streamed over an encrypted wireless radio link from the transmitter to the receiver. 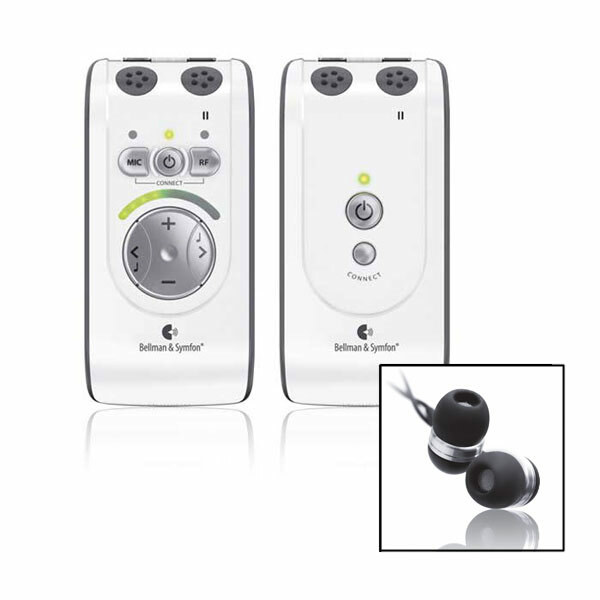 The transmitter also incorporates a stereo input for streaming high quality audio from your TV, MP3 player or stereo system. The receiver amplifies sound and sends it to your headphones, earphones or neck loop. From the receiver, you can easily control the functions of the two units. Weight in Original Packaging: 1 lb. 15.3 oz.